News UAAP volleyball: What’s next for FEU’s Bernadeth Pons? 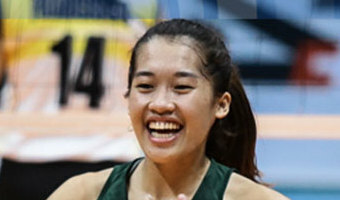 MANILA, Philippines – Far Eastern University (FEU) skipper Bernadeth Pons may have ended her UAAP career without a women's volleyball championship, but she remains proud of what she has achieved as a Lady Tamaraw. Pons and the Lady Tamaraws fell short once more on Wednesday when they bowed to De La Salle University in straight sets, 26-24, 25-20, 26-24, in Game 2 of the UAAP Season 80 women's volleyball finals. The result clinched for La Salle its third straight title and 11th overall. It was a bittersweet ending for Pons, who finished her career with another triple-double: 17 points, 15 receptions, and 15 digs. The FEU captain could not help but be emotional in the end, but still held her head high upon receiving the silver medal amid a chorus of cheers from the appreciative FEU crowd at the Araneta Coliseum. "Masaya ako sa ano man 'yung naabot namin this year," Pons said after the game. "Sobrang proud ako this year sa team namin, although hindi namin nakuha 'yung goal namin." 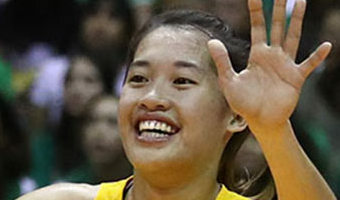 … [Read more...] about News UAAP volleyball: What’s next for FEU’s Bernadeth Pons?